With Christmas time upon us, I thought I’d begin sharing some of my favorite Christmas styled portrait sessions. This was most likely our last newbron for the year (unless we schedule a last-minute newbron after Christmas). 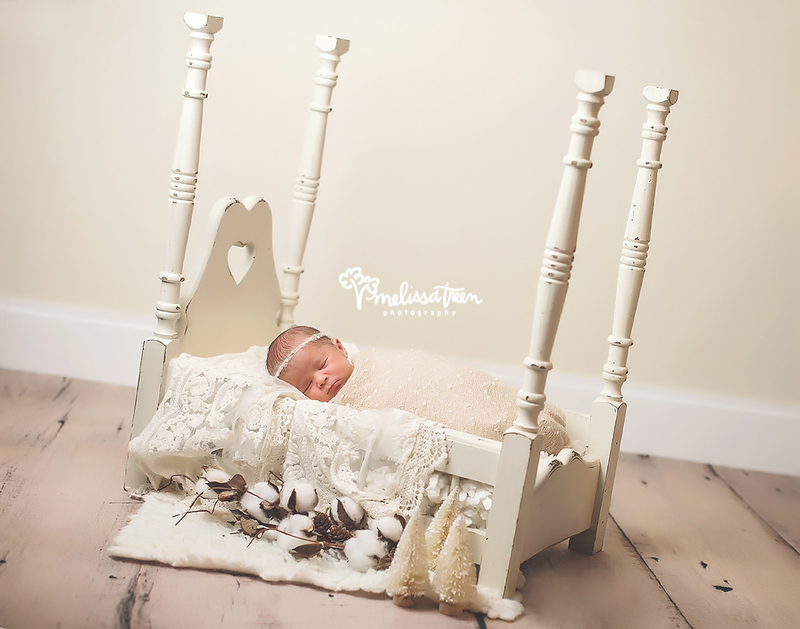 She was precious … she snuggled into our cream four poster bed and we accessorized with ivory bristle brush tree, pinecones, cotton and lace for the dreamy, organic feel we were looking to capture. The end result … a piece of art … no wonder Mommy ordered a big canvas of this one for her wall display.